India lost to Pakistan in last nights’ game in Karachi. The Pakistanis put up a spirited performance and out-batted and out-bowled India. India started as if Virender Sehwag and Gautam Gambhir had more concerns for the tournaments’ carbon credits. It looked like they wanted to finish the game off before the lights came on in the evening. But that frenetic start was always going to be hard to maintain and when Sehwag, Gambhir, Suresh Raina and Yuvraj Singh fell quickly, it took some effort for M. S. Dhoni and a-somewhat-out-of-sorts Rohit Sharma to rebuild the innings. The two Indian batsmen did rebuild, thanks to the strategy of the stand-in Pakistan captain, Misbah Ul-Huq, who strangely did not attack at that stage. Dhoni and Rohit Sharma compiled the easy singles and twos and kept the scoreboard moving till a rush of blood saw Rohit Sharma depart at a crucial time — just when the accelerator was being engaged! That dismissal and the immature dismissal that followed — of Yusuf Pathan — may have meant that India fell short by about 20 runs in the end. That was perhaps what mattered most in the end result. Yusuf Pathan came out and had a huge heave against debutant off-spinner Saeed Ajmal who looked quite tight and impressive in his first game. Given the number of doosra’s Ajmal bowled though, it may be more appropriate, perhaps, to catalog Ajmal a “Doosra” bowler who occasionally bowls the off-spinner as a wrong ‘un! Dhoni and Rohit Sharma had some difficulty picking his doosra. The Pakistanis came out purposefully and batted brilliantly to take the game away from India. In particular, Younis Khan and Misbah Ul-Huq were excellent, controlled and effective. Younis Khan appeared to be a man in control. He came in when a solid foundation was ruined by a needless runout. He shepherded a somewhat frisky, young Nasir Jamshed to a 50, saw the youngster retire hurt and just kept motoring on through it all. His was a terrific innings. The Indian bowlers did not really come to the party. Praveen Kumar bowled tragically. After a wayward first over Ishant Sharma did manage to bowl reasonably well in his subsequent overs. And although Irfan Pathan bowled steadily for most part, he did bowl at least one “hit me” ball every over. And that, really, was the difference. Piyush Chawla was also largely ineffective. Hmmm! Let’s see. The spinner in the winning team had bowling analysis of 10-0-47-1. His name? Saeed Ajmal. Experience? Debutant. It is, in my view, not experience that mattered most. It was attitude that was the difference. The Indians batted in two modes when they batted. They swung from “reckless abandon” to “caught in the headlights” and never really settled the pendulum in a safe and controlled zone in the middle. That allowed even the inexperienced debutant bowler — Ajmal — to bowl with control and dictate terms. India perhaps went into the game thinking that they would win it. Pakistan, on the other hand, went into the game with a hint of desperation and a heck of a lot of grit and attitude. The results showed. The better team won on the night. India have to win tonights’ game against Sri Lanka or risk bowing out of the Asia Cup finals. Strangely enough, I am not too fussed either way! I suspect that an early exit may be a bitter pill for most Team India fans to swallow! I can’t believe that India can go in with the same team sheet that it presented against Pakistan. However, there don’t appear to be too many options. One option may be to swap Manpreet Gony for a somewhat listless Praveen Kumar. But that could be somewhat of a risk in what is essentially a do-or-die game for India. I’d go with R. P. Singh for Praveen Kumar who has looked somewhat out of sorts in these listless tracks. Yusuf Pathan has blown a few opportunities to express himself. He needs to come good. He had a perfect opportunity with both bat and ball last night and messed up both facets. His heave that he affected against Ajmal in last nights’ game is not quite a reflection of his batting capabilities. He is better than that and has to make his appearances and opportunities count. India has the opportunity to bench him for a regular, front-line bowler. It is an option that they may well exercise in what is essentially a knock-out semi-final. On another note… Having already played and beaten Pakistan in the preliminary rounds and having carried over the points into the Super-League, pray why did India have to play Pakistan again? Is this just so that the organisers can collect more gate revenue? 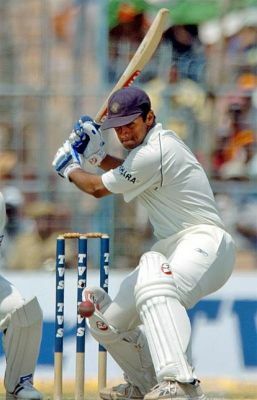 Sachin Tendulkar’s unfortunate pulling out of the Ahmedabad test due to a groin strain has come as a blessing in disguise for the captain of Uttar Pradesh. Mohd. Kaif has had a wonderful domestic season and deservedly gets called back into the test side. We at i3j3had earlier written to the effect that the Indian selectors should identify and show faith in a handful of batsmen as eventual replacements for the fab four and suggested Kaif as one of those. His fitness and fielding abilities should certainly bring some dynamism back to the Indian fielding routine which was quite abysmal in the Chennai test. While some may argue that India would have been better off introducing someone like S. Badrinath or even recalling Gautam Gambhir, I personally think bringing Mohd. Kaif back is a well-informed decision. It would certainly be interesting to see if Mohd. Kaif does get included in the playing eleven especially with Yuvraj Singh in the fourteen. It is a tough call but my gut tells me that Kaif might just squeeze in. He is in good form, fresh and is carrying no baggage at the moment. Yuvraj might consider himself unlucky but may have to wait a bit longer to get back in the playing eleven. On the playing eleven itself, while there has been talk of playing three spinners, I do not think Piyush Chawla will make it. I think India will go with Ishant Sharma, Sreesanth/Irfan Pathan as the pacemen and retain the rest of the lineup.